Are campgrounds unsubscribing from your email lists? Are you finding that your emails are caught in spam filters, or that campgrounds are not recognizing you an Official Supplier? The new email marketing program is designed to make your electronic communications more effective. Send us your email or Word document and we will send it out on your behalf to all our campground members using the Camping In Ontario mailer in an email format which is specifically designed for supplier emails. 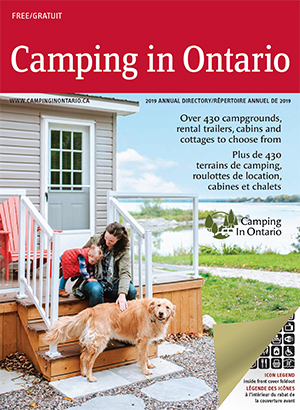 Camping In Ontario sends an e-news communication to all campgrounds (450) bi-weekly with important association information, business news and a virtual Q&A forum. We track how many emails are opened, what links are clicked on and how often. Banner and button ad opportunities are available. Would you like your marketing to campgrounds to be more effective? Are you finding that it takes a lot of time and effort to get your marketing message out? Are you spending a lot of money on mailings only to find that you are not getting any traction? You now have the opportunity to include your 1-page brochure in a focused mailing to our campgrounds. Mailings are done quarterly. NOTE: Rates and opportunities are for Camping In Ontario Official Suppliers only. Find out about becoming an Official Supplier.